If you’ve stayed in Mumbai or even around Maharashtra, you’ve thought of making a trip to Goa at least once. Whether it’s with family or friends, a trip to Goa has been in the pipeline since time immemorial, so much so that you feel like you already know the places you want to visit. Keeping that in mind, if you’ve wanted a great place to experience all that Goa has to offer, we’ve found a gem. 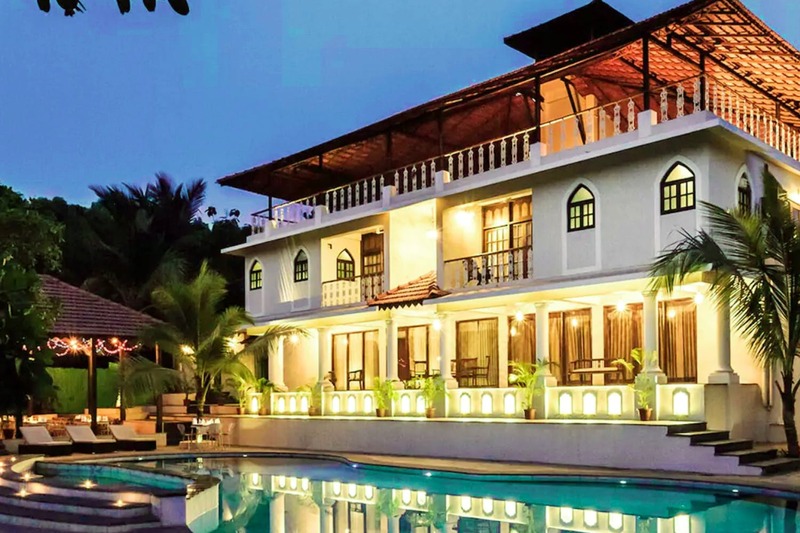 Nestled in a quiet cove of Mandrem in North Goa, this boutique retreat is just a few meters away from the beach and is the perfect vacay spot to let your hair down and take a chill pill. You can either take a flight or bus to Goa. There are sleeper buses plying from Dadar, and they’re overnight (around 12 hours), so extremely comfy! Alternately, you could also opt for a flight, that takes only an hour to reach. Located in Ashvem, Mandrem, the property is close to the beach with cafes, shacks, local markets, stores and so much more all around in a radius of 3 km. The gorgeous property is just a few meters from the beach and is a great retreat for group yoga. The property has two yoga shalas to help curate a personalised wellness experience, with even food being served (breakfast included) that has healing properties. Their room overlooks the yoga shala and the pool, and each of their rooms has a private balcony where you can sit back and relax. For the price you’re paying, it’s a great place to just explore a side of Goa we’ve mostly heard about.